To Fit: Any suitable water/methanol injection system. 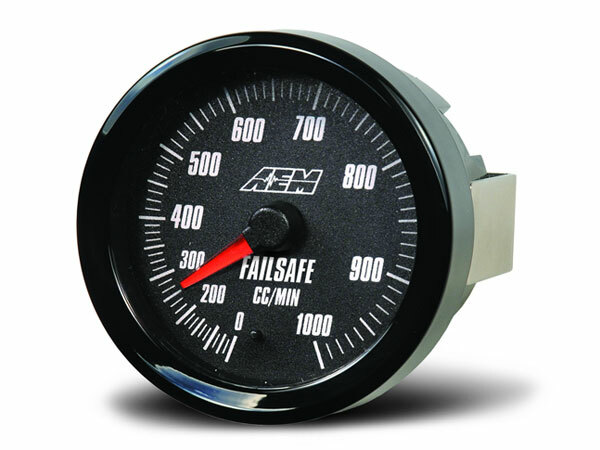 AEM’s Water/Methanol FAILSAFE Device is the most advanced water/methanol failsafe device on the market. It actively monitors the injection system’s ENTIRE flow curve to compensate for failure under ANY condition, allowing you to use your water/methanol system with complete peace of mind. If you have a water/methanol injection system or are considering one, you will not find a more advanced failsafe device on the market than the AEM Water/Methanol FAILSAFE Device. Recommended for use with the AEM V2 Water/Methanol which can be found on our website here. NB: Lead time prior to despatch approx 4 weeks.